KFH-Bahrain announced the winners for the December Shop & Win promotional campaign for all KFH credit and prepaid cardholders. 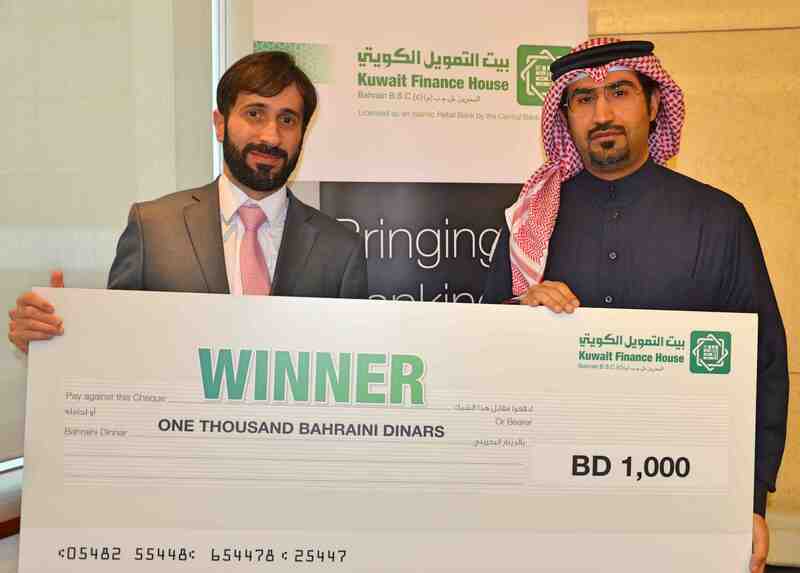 The draw was conducted at the bank’s headquarters in Bahrain World Trade Center under the supervision of the Ministry of Industry, Commerce and Tourism and the bank’s management team. The winners of this month’s cash-back prizes included Ahmed Ali AlBahdahi, Khawla Abdulatif Alfozan, Abdulrahman Aaref AlOmar, Abdulla Hamad AlThawadi, and Sh. Shaikha Sabah Al Khalifa with amounts of BD 1000, BD 800, BD 600, BD 400 and BD 200 respectively. Mr. Abdulrahman AlKhan, Head of Cards & eChannels in KFH-Bahrain said, “I would like to congratulate the winners of our latest campaign, which comes in the context of our eagerness to offer unique promotions throughout the year. We look forward to congratulating the upcoming winners next month”. This campaign offers all credit cards (Classic, Gold, Signature, SmartPay) and prepaid cards the opportunity to enter a monthly draw for every BD 20 spent either inside or outside the Kingdom of Bahrain, through POS in shops or online for the months of December 2018 and January 2019. KFH-Bahrain Credit Cards are Shari’a compliant and are accepted worldwide. Cardholders can also benefit from the new KFHB Cards app, which provides instant access to their cards features. Cardholders can also receive free supplementary cards, free air-miles with their preferred airline, and avail from a repayment grace period of up to 50 days.